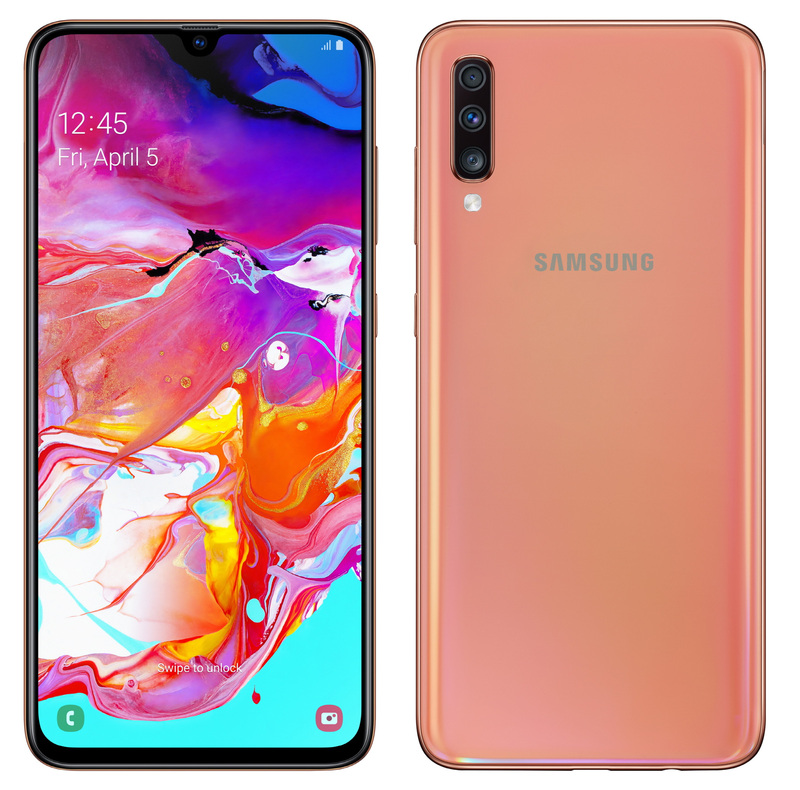 Ahead of the upcoming Galaxy A Unpacked event, Samsung has officially announced its the Galaxy A70. This at the moment, this is the biggest Galaxy A smartphone yet with a huge 6.7″ Infinity-U display and it has a large 4,500mAh battery. 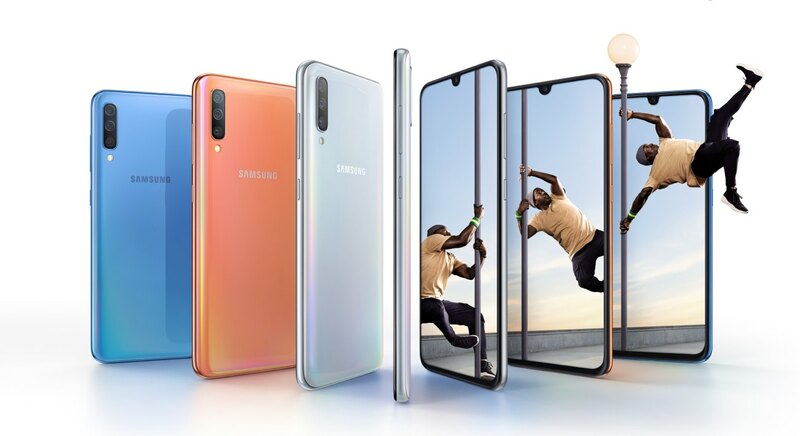 Upfront, the Galaxy A70 gets a 20:9 display that pushes a Full HD+ resolution on a Super AMOLED display. 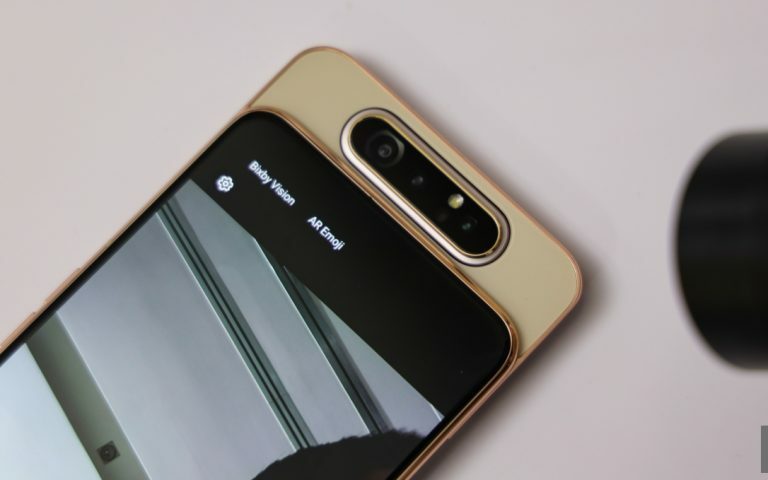 Similar to the Galaxy A30 and A50, it has a tiny U-shaped notch at the top and the A70 gets a rather high-resolution 32MP f/2.0 selfie camera. Design wise, it still uses a 3D Glasstic back design which is basically plastic that’s made to look and feel like glass. For quick unlocking, the A70 also has an in-display fingerprint sensor, which is similar to the A50. Under the hood, it runs on an unspecified Octa Core processor (2x 2.0GHz + 6x 1.7GHz) which is likely to be an Exynos unit. It has either 6GB or 8GB of RAM and it comes with 128GB of internal storage. If that’s not enough, it can also accept microSD card expansion with a dedicated microSD slot. 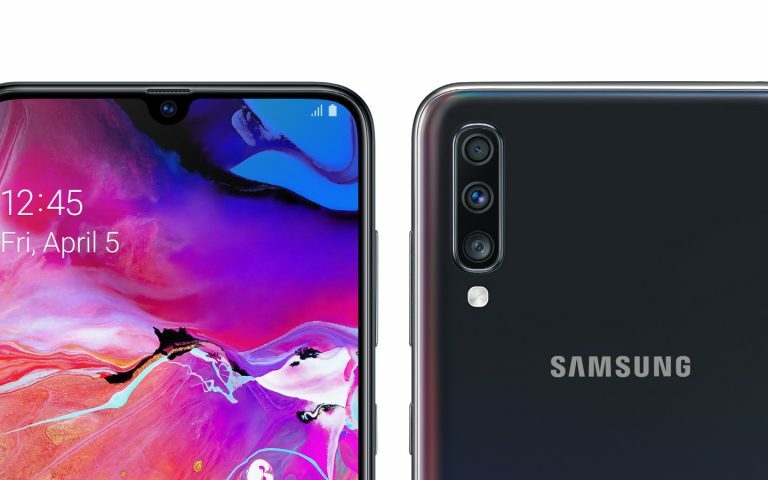 Similar to the Galaxy A50, the A70 also features a triple-camera setup but with a couple of upgrades. The main shooter is a 32MP f/1.7 camera and it is accompanied by an ultra-wide-angle 8MP f/2.2 camera with an extra 5MP f/2.2 shooter for depth effects. Like any new Samsung smartphone, there’s also Scene Optimiser and Flaw detection, to help you take better pictures. To power up its larger display, the Galaxy A70 is juiced up by a 4,500mAh battery. 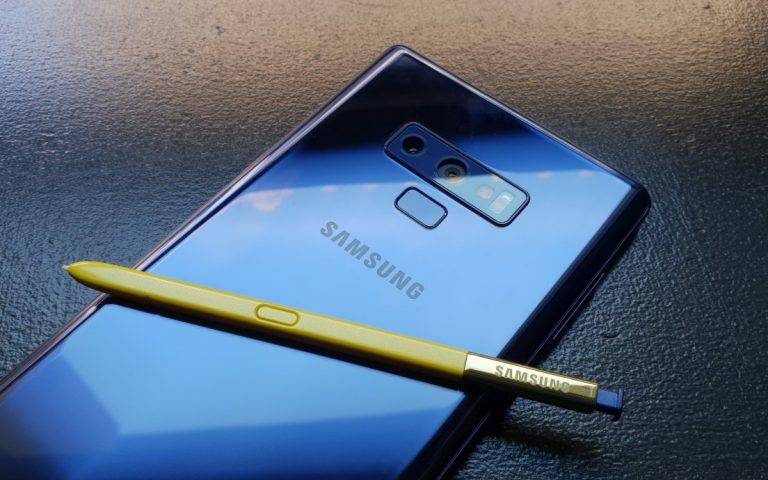 Included is a 25W super-fast charger which is more powerful than what you get on the flagship Galaxy S10 series. According to the spec-sheet, the device also has Samsung Pay support but its availability may differ between markets. There’s no pricing and availability info yet. 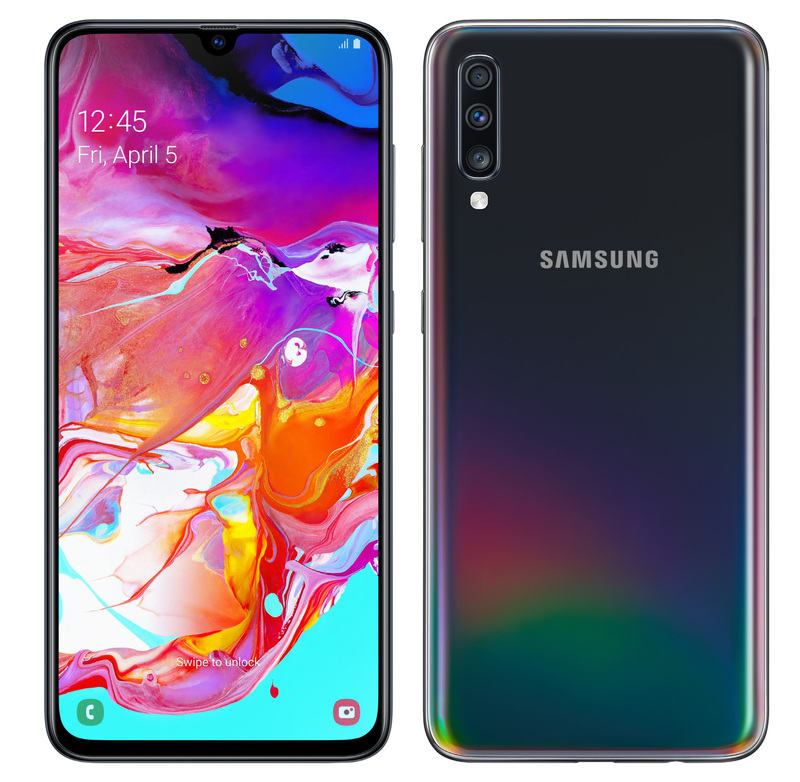 More details of the Samsung Galaxy A70 is expected to be revealed on 10th April.